Cintra is absolutely delighted to announce that following the recent procurement process, it has once again been chosen as a provider of face-to-face interpreting services for the INTRAN partnership, covering a large number of public sector and voluntary organisations in Norfolk, Suffolk, Cambridgeshire, Hertfordshire, Bedfordshire and Essex. This continues a working relationship which has already lasted since 2001, and which will allow Cintra to continue to serve many existing and new customers via the INTRAN Framework. This news adds to an already exciting recent phase in Cintra’s interpreting business, with new contract wins for police forces (together with the renewal of existing contracts) as well as a partnership to enable Cintra interpreters to serve courts in the East of England leaving the company well placed to grow its overall interpreting operations during the remainder of 2017. Now holding positions on a range of national interpreting framework agreements, Cintra is fully accessible to the UK public sector. For further information about how Cintra can assist your organisation with its language service requirements, please contact Ben Ablett, Cintra’s Head of Sales & Marketing, by telephone, 01223 346675, or email, ben.ablett@cintra.org.uk. 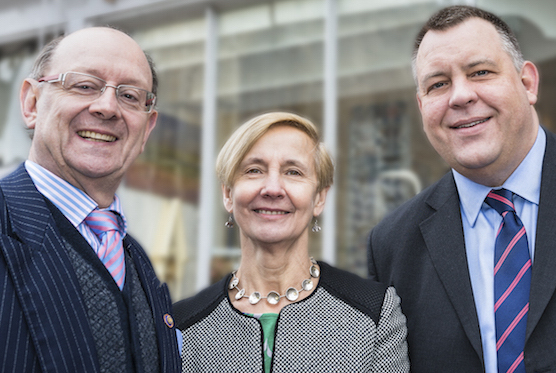 L-R Jeremy and Sheila Waller of First Edition with Cintra CEO Jerry Froggett. Cintra Translation, a leading East of England language services agency, today signalled its growing strength in the commercial translation and interpreting sector with the announcement that it has purchased translation agency First Edition. With an annual turnover currently in excess of £3.5 million, Cintra Translation operates a round-the-clock, 365 day-a-year service, supplying qualified interpreters and translators skilled in over 100 languages for public sector and commercial clients. 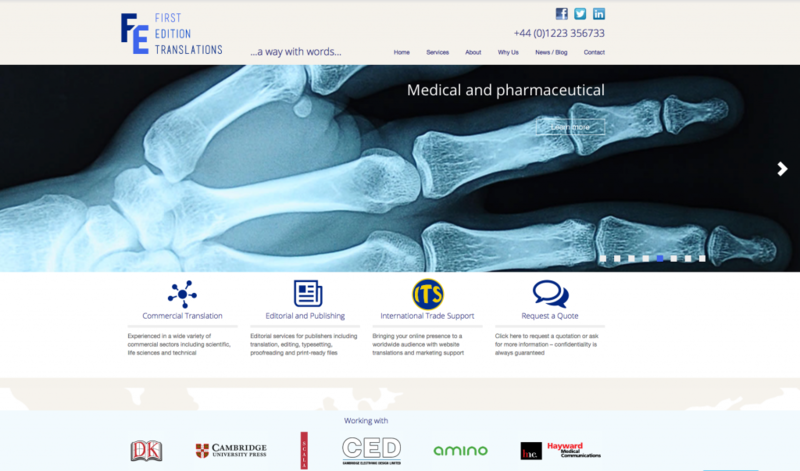 First Edition Translations is one of the UK’s oldest established translation agencies with particular expertise in editorial translation in the publishing, pharmaceutical and life sciences sectors. Both companies are based in Cambridge, UK, serving clients in Britain and internationally. Announcing the acquisition, Cintra Translation CEO Jerry Froggett said: “Quality is in the DNA of Cintra and First Edition. In an increasingly competitive and price sensitive sector, we stand out in our industry as operating not only some of the strictest recruitment processes for linguists, but also for offering superb opportunities for training and professional development. 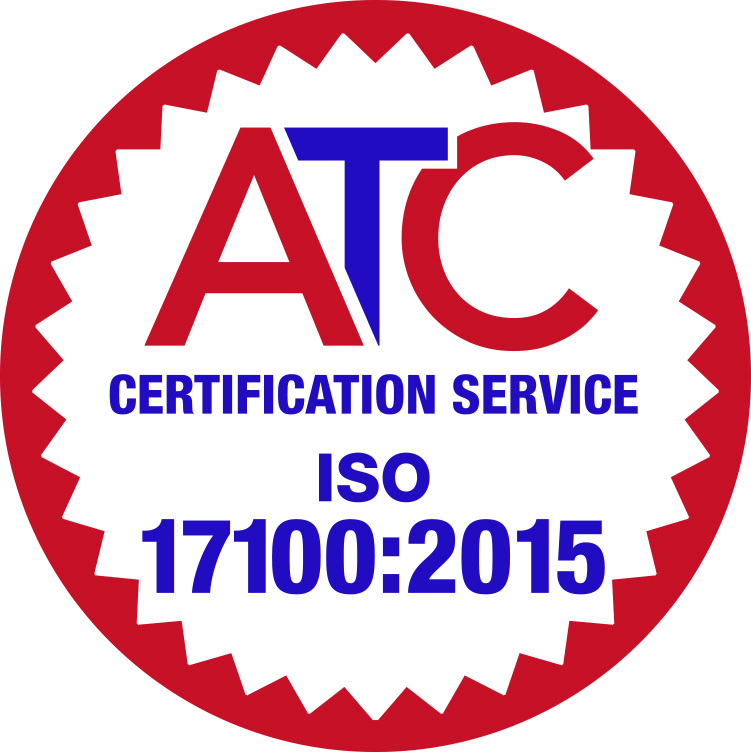 “This consistent emphasis on quality and trust over many years has brought commercial success and earned both companies excellent reputations with clients here and abroad. Our shared commitment to quality and integrity is fundamental to our plans for the future. Jeremy Waller will continue to maintain a prominent role in Cambridge, including owning the art gallery, jewellers and craft gallery, Primavera, on King’s Parade and Magdalene Street. He will also continue to advise on commercial and financial matters in Cambridge. The companies will continue to trade as Cintra Translation and First Edition Translations respectively with no immediate plans for a change of business entity.